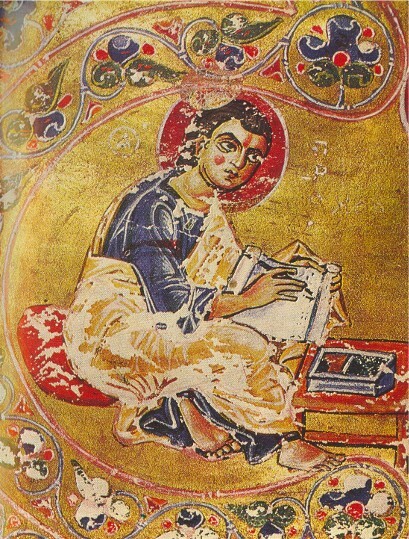 Ostromir Gospel (Остромірове Євангеліє; Ostromirove yevanheliie). 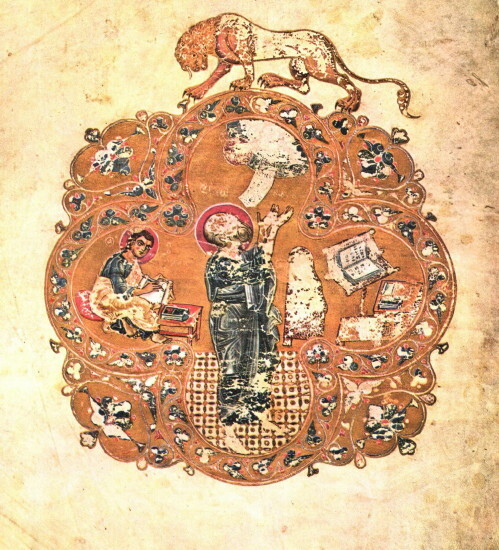 The oldest extant East Slavic manuscript and the most important Old Church Slavonic literary monument in the East Slavic redaction. 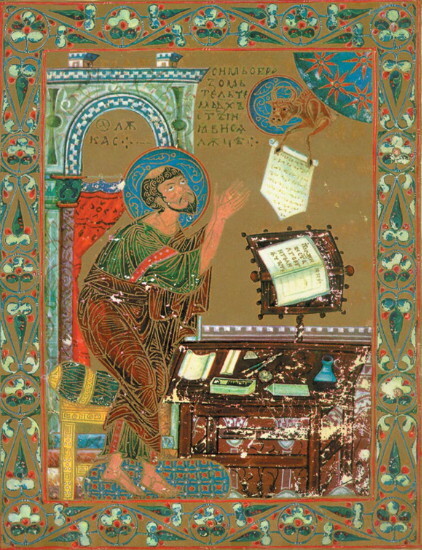 It was transcribed by the precentor Grigorii in 1056–7 for Ostromir, the vicegerent of Novgorod the Great. The monument is a copy of an Old Church Slavonic original of Bulgarian provenence, translated from Greek. 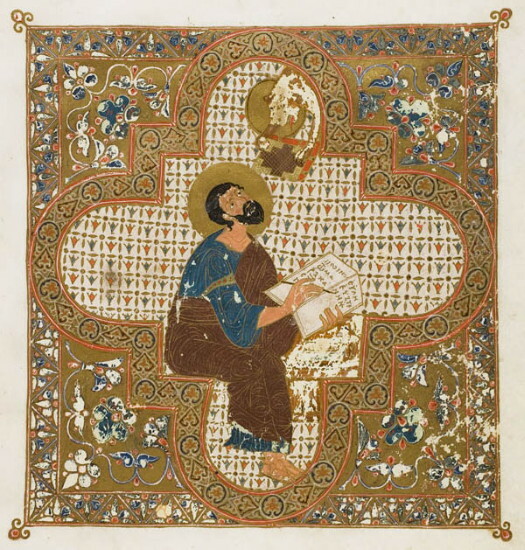 Most of it (parchment folios 25–294) was preserved at the Saint Sophia Cathedral in Novgorod and was transferred in 1806 to the Saint Petersburg Public Library. 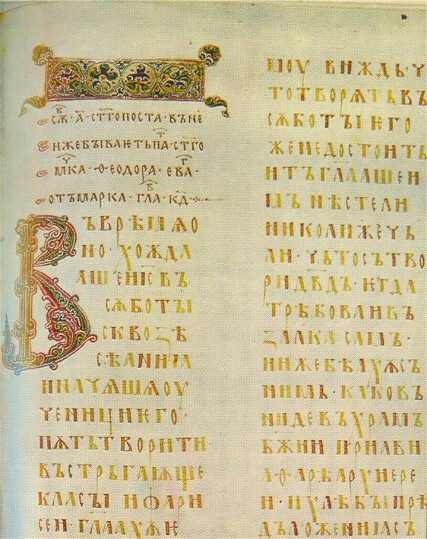 The gospel was written in two columns using the Cyrillic ustav script and was embellished with headpieces, initials, and miniatures of the evangelists Mark, Luke, and John. Its generally pure Old Church Slavonic language has few East Slavic traits. An annotated parallel Slavonic-Greek edition was first published by A. Vostokov (1843; repr Wiesbaden 1964), and photofacsimiles of the original were published by I. Savinkov (1883, 1889). 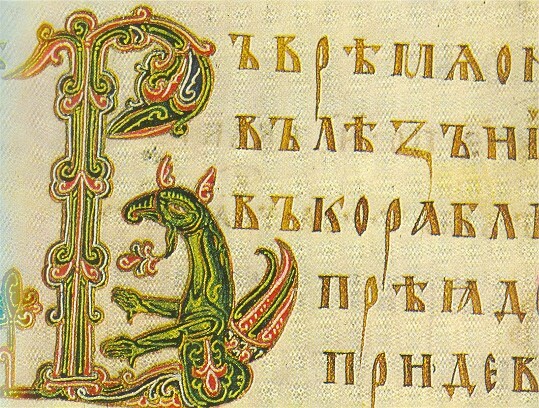 Its language and contents were studied by Vostokov (1843), M. Kozlovsky (1885), V. Shchepkin and Aleksei Shakhmatov (1890), N. Volkov (1897), N. Karinsky (1903, 1920), Filipp Fortunatov (1908), and L. Zhukovskaia (1961). Some scholars (N. Karinsky, N. Volkov, P. Lavrov ) have speculated that the text was prepared in Kyiv, but most favor Novgorod.